As you know after seeing our continued coverage of cases from the likes of Portenzo and Treegloo, we’re big fans of products that are hand-made in the U.S. 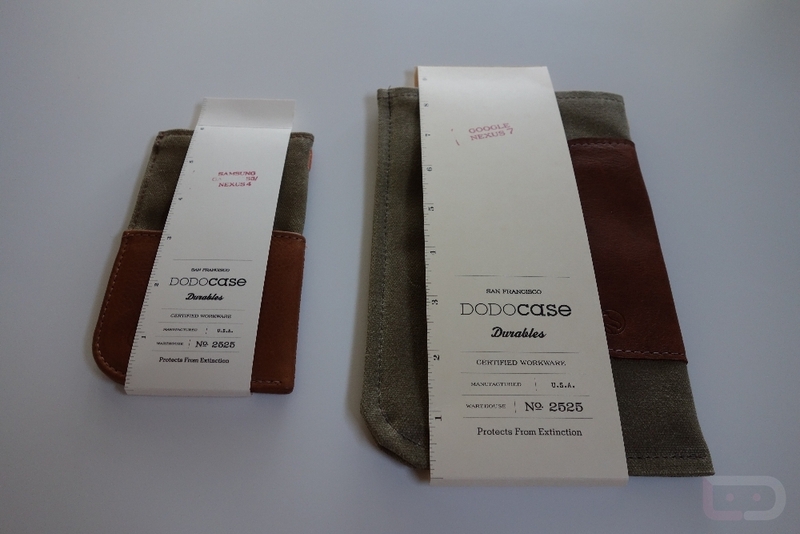 The latest to enter our radar is none other than DODOcase, a company based out of San Francisco that has been around for some time in the Apple case game. Over the last year or so, they decided to enter the Android realm as well, and have produced some of the finest sustainable cases around. This afternoon, we’re taking a look at their new Durable sleeve for the Nexus 4 and Galaxy S3, along with the matching Durable for the Nexus 7. They are very much like the classic smartphone pouch that has been around for years, however, very few can match the quality and design. While I may not be the biggest sleeve fan on the planet, it’s tough to not fall at least somewhat in love with the build quality and materials used in DODOcase Durables. Made with mahogany leather, a sage waxed duck exterior, a soft poppy interior, and contrast stitching, these look like they were built for battle. Not only will they hold up through every day wear and tear, but they’ll probably look better as they age. The leather patches add grip, durability and beauty, while the waxed duck exterior gives off somewhat of a military vibe, with the contrast in orange making it feel very modern. The Nexus 4 and Galaxy S3 cases also have outside leather pockets to go along with the internal pouch. At $49.95, the Durables for all of these devices aren’t necessarily cheap. But when you are dealing with finer materials and an outfit based out of the U.S. that does everything by hand, you get what you are paying for. These are high-quality sleeves that carry a timeless design and will also withstand every day punishment. Keep in mind that if you decide to order one, that it takes a couple of days for them to make it, since they are made to order. Nexus 7 Durable has been available for some time. The Galaxy S3 and Nexus 4 Durable are finally available today.